This page provides links to news items related to the Report from the Independent Review of Forest Practices in Nova Scotia following its release on Aug 21, 2018 up to Dec. 8, 2018, at least as I was able to keep up to them. 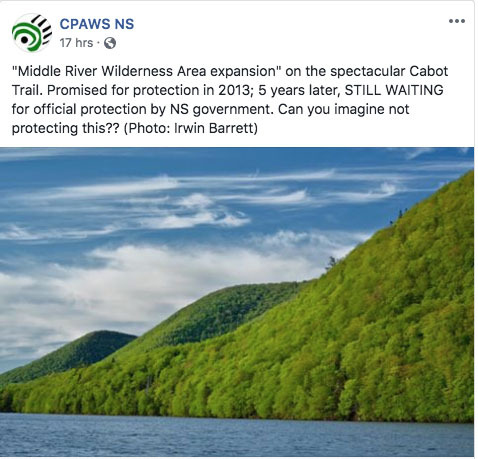 The NS Government issued its response to The Review on Dec 3, 2018, indicating very little will change for another year while they continue to work on it and figure out how to maintain current or higher levels of wood supply from Crown lands while implementing “ecological forestry” (which DNR always claimed they were doing). NOTE Sep 19, 2018: due to the Chronicle Herald moving their website to a new platform circa Sep 15, 2018, links that refer to articles in the Chronicle Herald before that date are not currently working. Presumably they will fix that issue. Opinion by Dale Smith published online in the Chronicle Herald (behind a paywall); posted on NSFN with permission of author. Neil Livingston in Cape Breton Post. “We need non-clear cut forest cutting regulations to reign in large industrial forestry on private and Crown land. We need regulations to ensure that small private landowners benefit from changes in forestry practices, and are regulated to be non- clear-cut forestry. We need to shut down the large industrial polluting biomass plants. And we need to ensure that all forestry is done without herbicide spraying. Clear cut would destroy critical animal habitat, says Nova Scotia hunter. – Bill Lahey identifies path forward for forestry in Nova Scotia. Will Provincial Government act? CBC Audio – Nova Scotia’s Minister of Lands and Forestry, Iain Rankin, reflects on the mound of paper that’s landed on his desk in the form of William Lahey’s report – “An Independent Review of Forest Practices in Nova Scotia”. – Can the Grits bear it? – The Lahey Review of Forest Practices is published; what does it mean? Post on this website. “Prof Lahey has set a high standard for further discourse about our forests and forestry”.